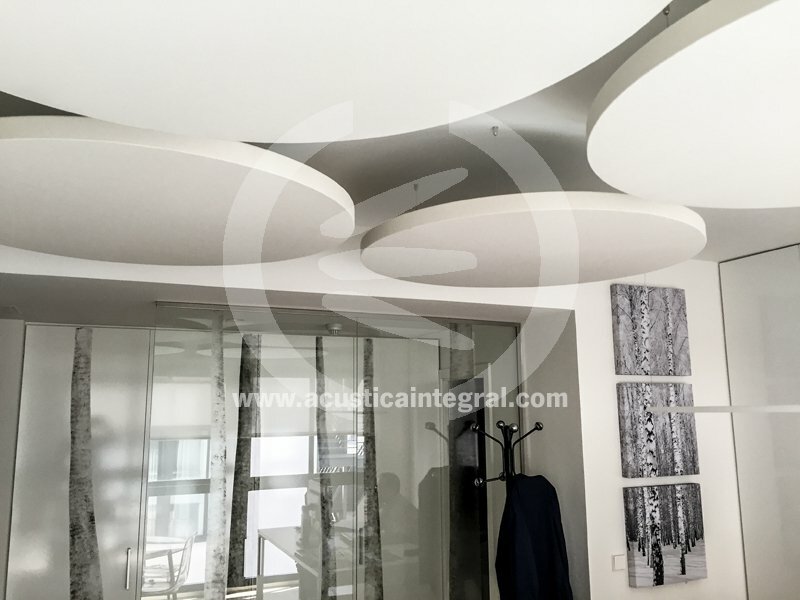 Absorbent treatment in conference room. 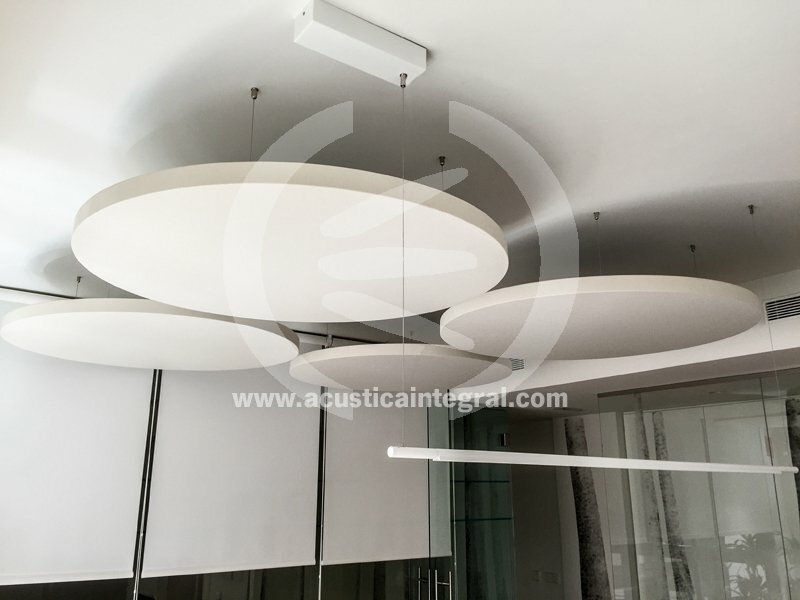 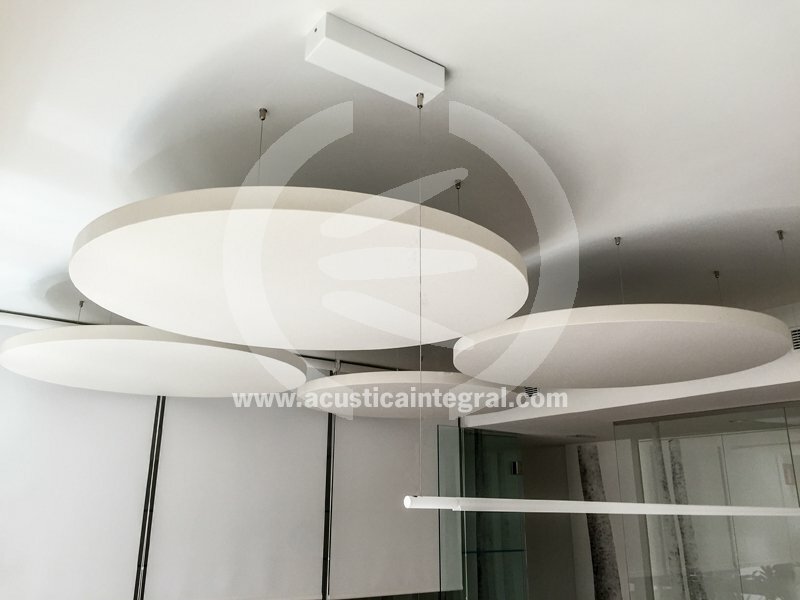 Acoustic clouds for a dining room area in offices. 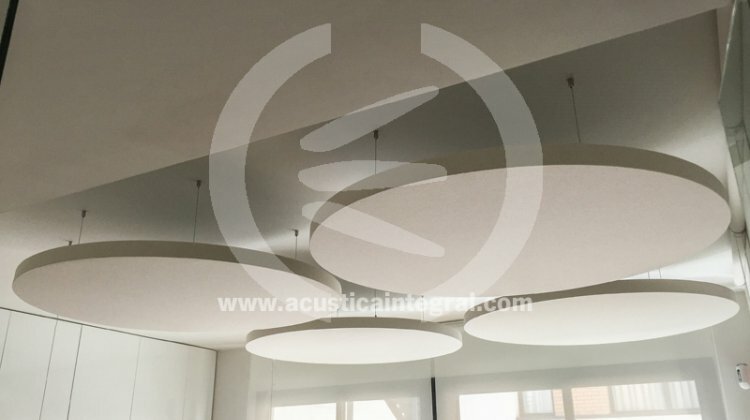 Conditioning noise in meeting room. 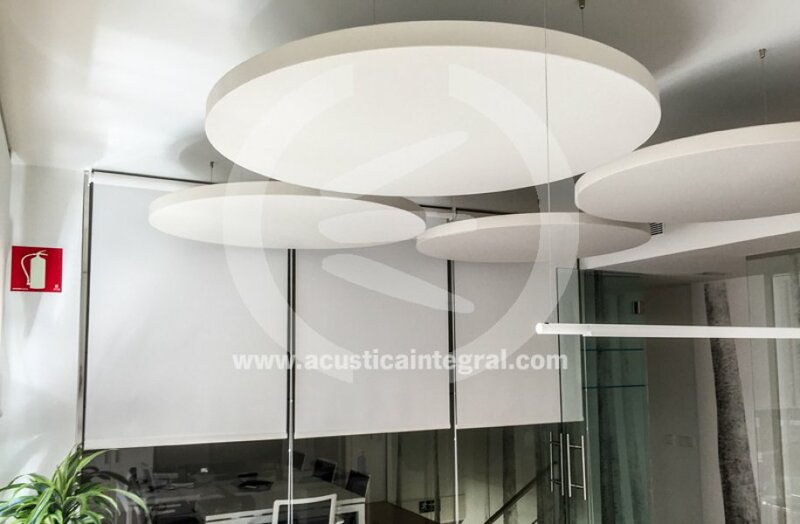 Acoustic treatment for a customer service office. 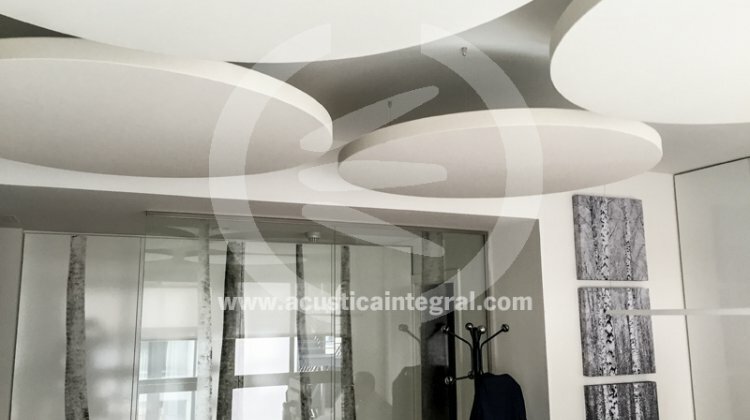 High standard acoustic comfort. 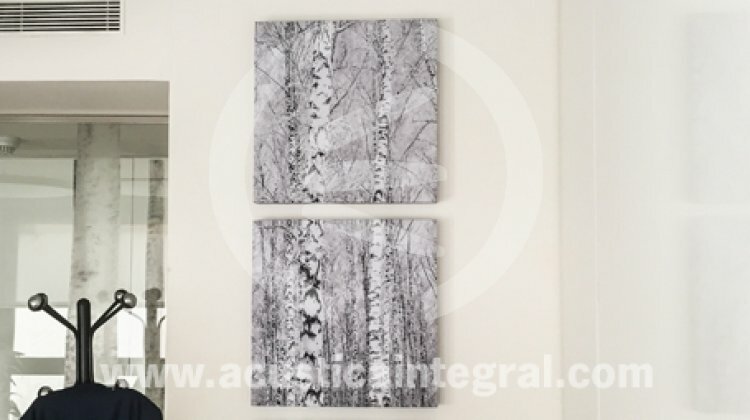 Pleasant acoustic feeling. 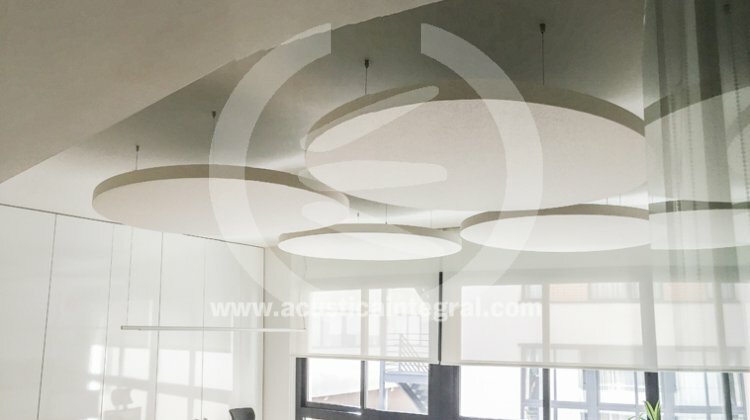 The client consulted us on some offices with reverberation problems because of the materials with which they were built with, which are highly reflective. 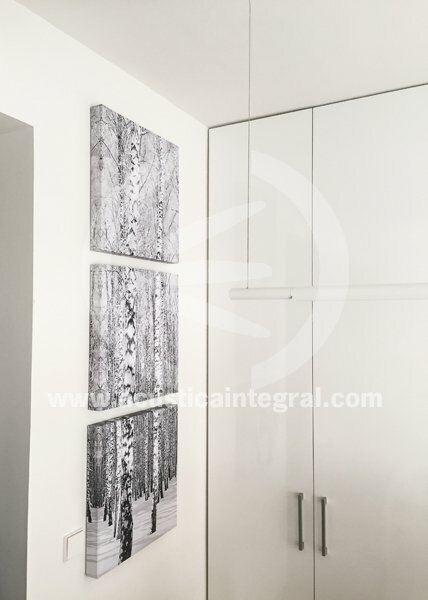 Reduced-absorbency painted plasterboard, glass and wooden floors. 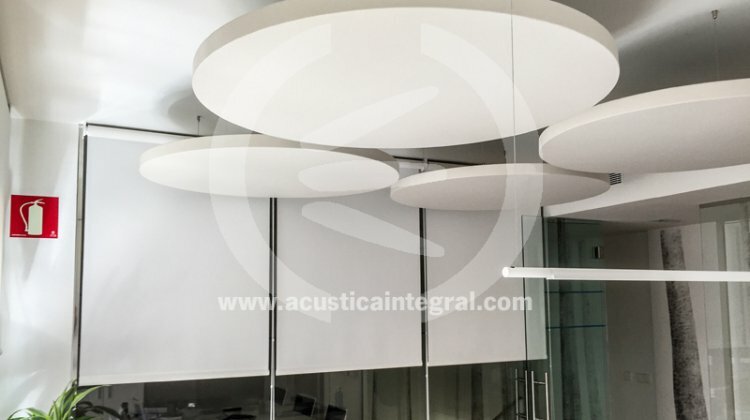 Acústica Integral analysed the situation and decided to install Acustiart systems. 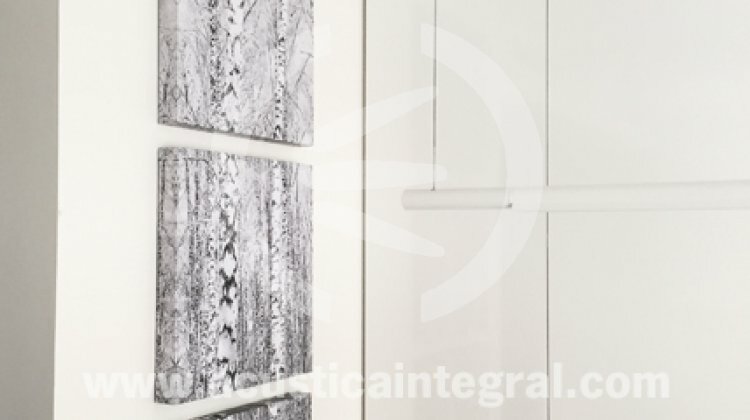 This enables maintaining the current installations and integrating the absorbent systems without having to perform complex works. 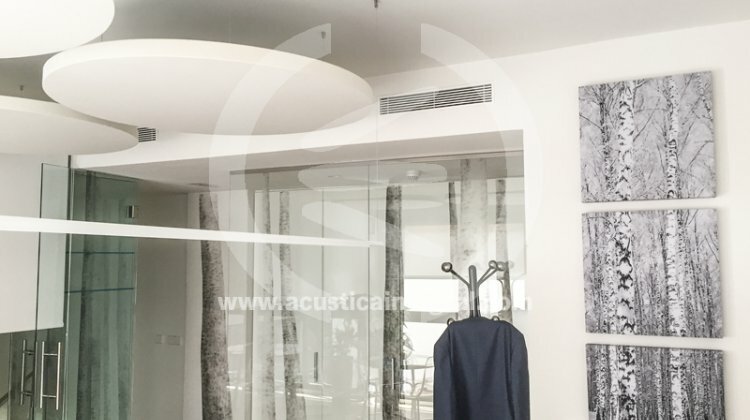 The Acustiart wall systems will be hung as if they were paintings, and the elements mounted on the ceiling will be installed using Fixing Kit fixing systems, with steel wire and fixed with standard screws. 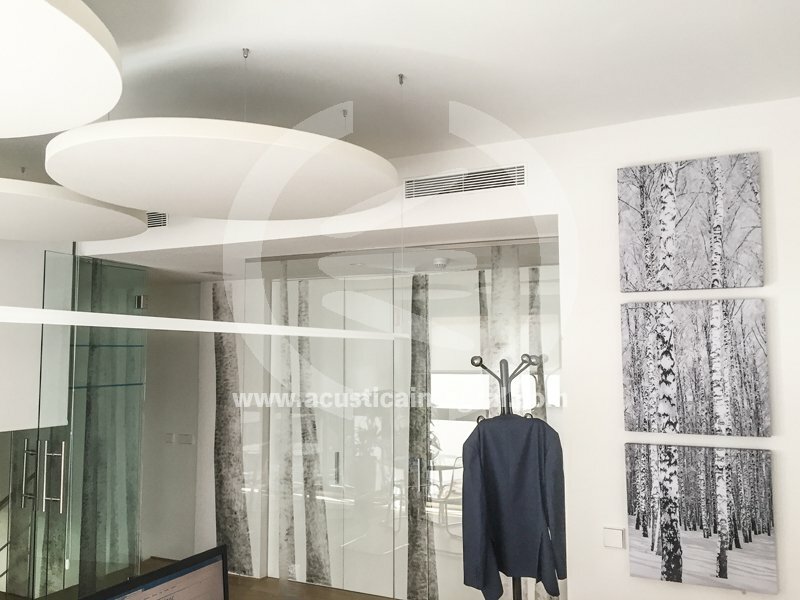 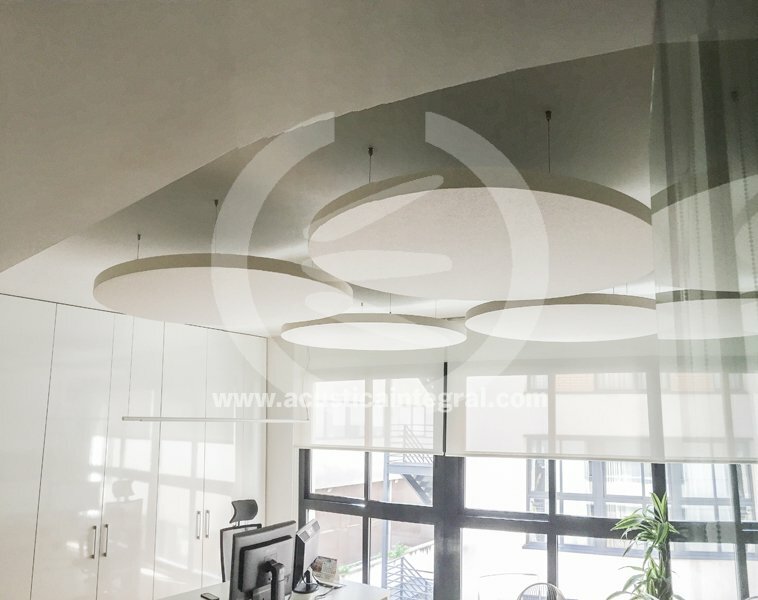 It is agreed with the client to install Acustiart Circulares (Acustiart-C) elements of the ceiling and to manufacture a triptych with an image chosen by the client to install on the wall, making an Acustiart Digital tailored to the client's requirements. 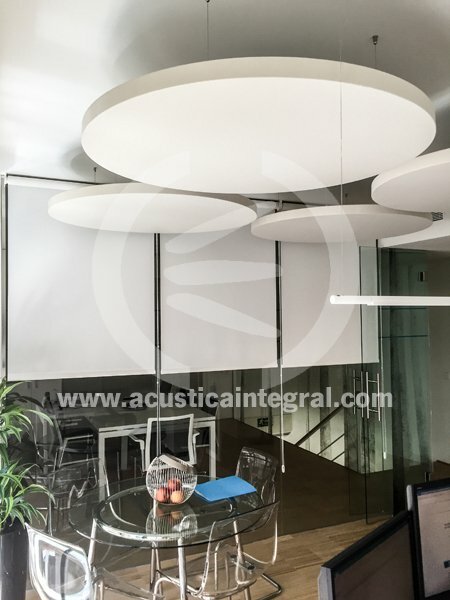 The possibilities regarding sizes, colours and shapes allow incorporating acoustic treatments to premises that, because of their aesthetics, seem inappropriate for this type of acoustic solutions. 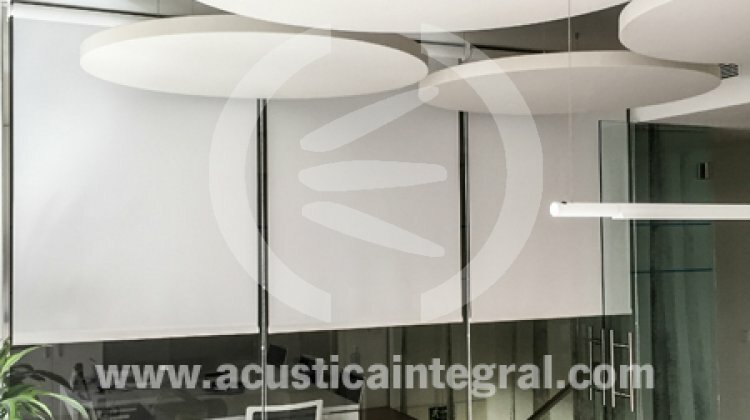 The existing new materials and extensive research carried out for the development of new products, make possible for Acústica Integral to provide solutions for all possible cases, providing solutions to the client's real needs. 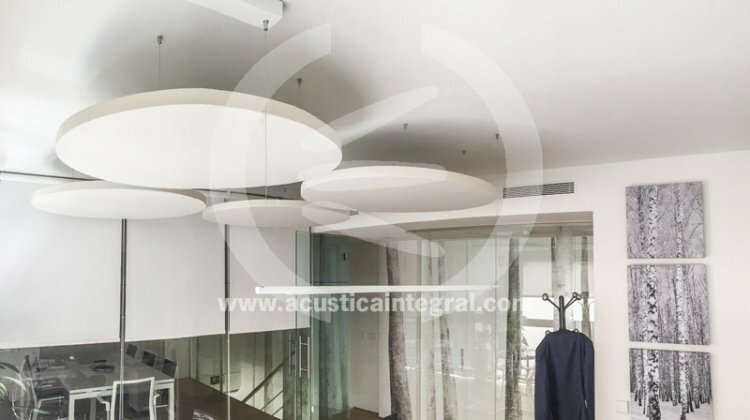 The result after the treatment enables maintaining very low-level conversations, increasing the privacy between the diners, and enabling to enjoy a complete and satisfactory experience, for all the senses. 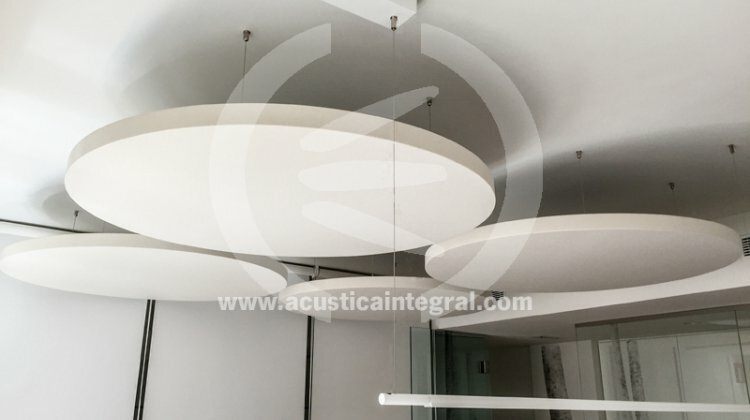 Project: Absorbent treatment with acoustic panels for a restaurant. 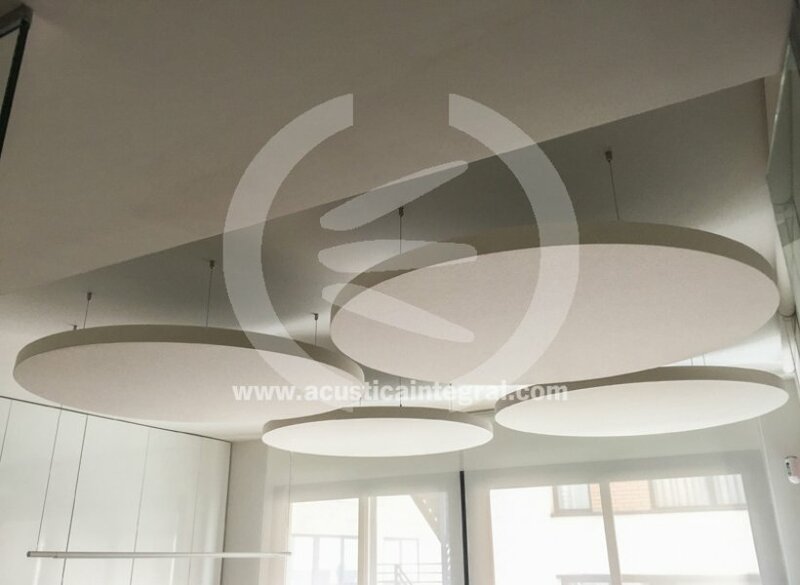 Suspension through support kit for ceilings. 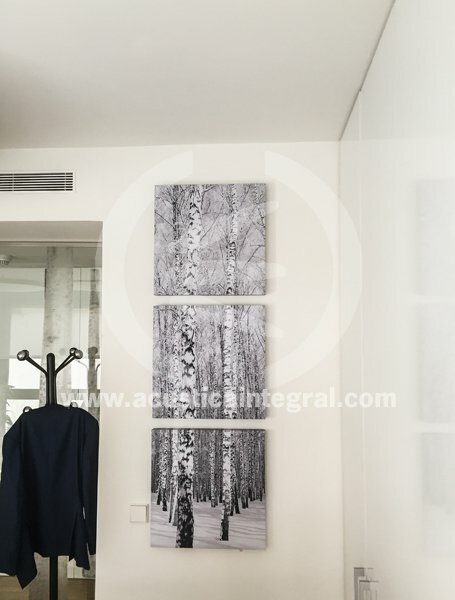 Acustiart Digital panels for wall, in triptych composition format. 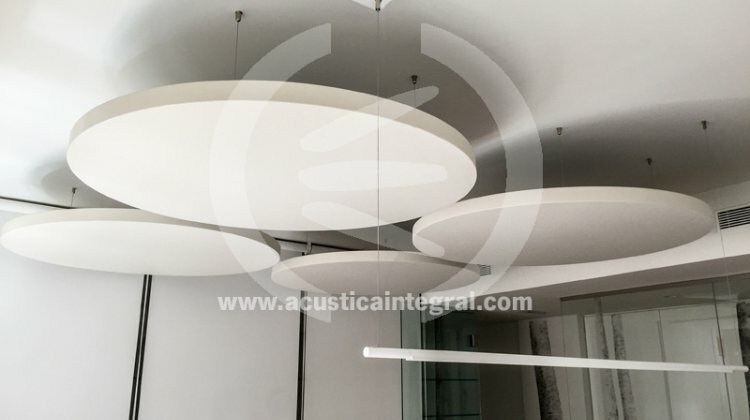 Manufacture, design, market and installation of acoustic products, soundproofing systems and acoustic engineering. 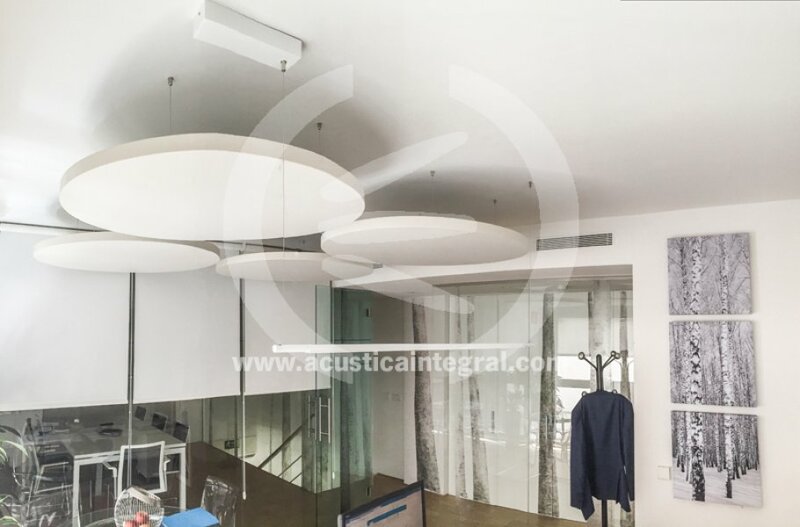 We have the expertise to solve all the problems of noise.